I have been fussing with water filters since I moved to Florida and no longer had a fresh water spring to go to. Water is the most important thing for your body. Without proper hydration from GOOD water, your cells cannot communicate properly, which throws everything off in your body. If you’re drinking tap water, your cellular communication becomes even worse because of the terrible things found in our faucet water. Everything from chlorine, to toilet paper (the #1 contaminant,) prescription and illegal drugs, and the all deadly fluoride can be found in your glass of water, and it can be causing most of the problems in your body. Just drinking fluoride alone will give you problems in your thyroid, bones, hormones, and most of all, your mind. Chlorine, or, bleach, well, I don’t think I need to tell you what would happen if you drank bleach every. Your water will poison you and could be causing many of the problems that you face daily. Imagine, that with every sip of water you take, you could be self medicating, making your mind numb, and hurting your endocrine system! After trying many other water filters, mostly those that hook up to the faucet, none ever fully removed the high chlorine taste. I did not even bother with “Britta” or “Pur” because they simply cover up the smell and do not actually clean your water. I also have been using “Taste of Nature” faucet water filter, but it just does not cut it. About a week ago I finally bit the bullet and bought a Berkey water filter. I didn’t want to because of the price, but finally realized that I’m simply not going to find a filter that actually does its job with out spending a pretty penny. 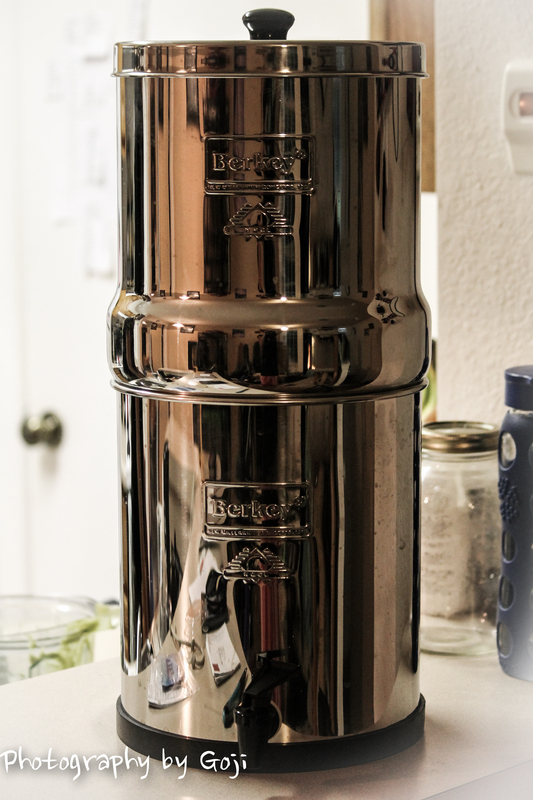 Today, I got in the Berkey lite, which holds 2 gallons of water at a time. It comes with 2 black Berkey water filters and I ordered 2 arsenic/fluoride filters on top of that. These filters are capable of filtering the most dirty pond water into perfect drinking water! I filled her up and just had my first glass! I can honestly say this is the BEST water I have had since I stopped using fresh spring water. I am in complete awe with this system. The water is light, slightly sweet, and incredibly clean! Well worth every penny spent! One of the best things about it, is that if you were ever in a situation where you had no electricity and could not run your faucet, this gravity fed filter would still work! I have not one complaint about this filter, and would recommend it to anyone searching for the best filter out there that removes EVERYTHING! Filters are also cheap to replace, and are good for cleaning 10,000 gallons of water. If you want some of the best tasting, hydrating water filter there is, I highly recommend this filter! Many of us stress over our food intake, and make sure we are only putting in the best of the best into our bodies, I know i do. But when is the last time you have thought about your water? Are you putting the best of the best water into your body? Most of us dont, as we are uneducated on water. These next few paragraphs will help educate and help you decide if you are drinking the best of the best– and what exactly you are drinking… Water or Liquid? Water was the first thing to be on the planet. No matter what history you believe in, creation, evolution etc, water was the first element to come. We are made up of mostly water, as is our planet. It is one of the most vital things in everything created and has been around for thousands of years. Water has intelligence. It also has memory. A lot of things that make our very computer run are components that are water based. It has the ability to communicate with other cells and tell them what to do. So think about this. When you are drinking the best water ever, one that actually has minerals, has a memory of positive things, and has extreme intelligence, when it is put into your body, it communicates that with your cells and allows your body to function and hydrate properly! However, the majority of us are not doing this. This gets put into our water supply to kill bacteria. Obviously, this is something that needs to happen since we are recycling toilet water. If this did not happen we would all be very sick. But that does not mean it is safe for us to ingest. Chlorine is very toxic. If you were to put your finger into straight chlorine it would severely burn you. Drinking it will burn us from the inside out! Chlorine was used during World War I as a choking (pulmonary) agent. Chlorine is highly toxic, and there are many warnings on anything that contains chlorine about the dangers of it and what to do if it is ingested. Pregnant women in their first trimester who drink five or more glasses of chlorinated tap water a day may be at a much higher risk of miscarriage than women who drink non-chlorinated water. Thanks to chlorine pollution, Americans ingest a daily amount of dioxin (a chlorine by-product) that is already 300 to 600 times greater than the EPA’s so-called “safe” dose. Then, we drink more in our water! You inhale more chlorine than you think! 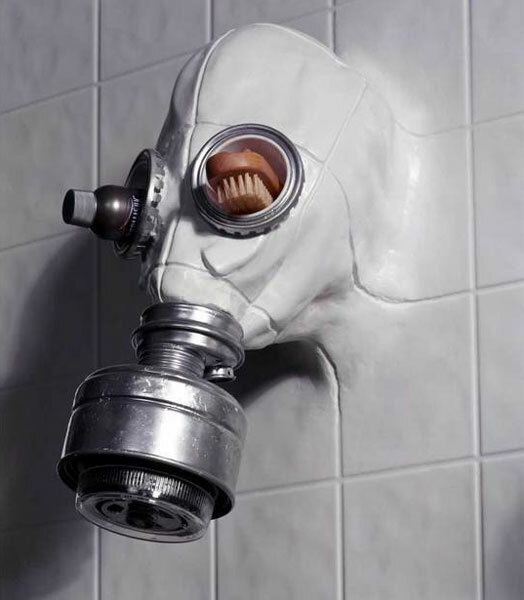 If you do not have a filter on your shower head, or are not on a well, you inhale and absorb a mass amount of chlorine in your shower! Your are inhaling a burning agent and absorbing its toxins into your skin. Most Chlorine exposure is from inhalation. Then there is the good ol’ Fluoride! We are taught since we are little children that we need fluoride and that it is good for our teeth and that the government is watching out for us by dumping it in the water supply. I remember when i was little and the dentist would want to give me a fluoride treatment and my dad wouldn’t allow it. They used to give him the third degree until we left the office. If you do a little research on fluoride, you will find it has a very interesting history. Fluoride was first used by the Russians, given to prisoners in the prison camps to make them docile. Fluoride was later adapted by the German Nazi’s, which were the first to start adding it to water, solely to make people docile and dumb, making them easier to control. Fluoride is one of the main ingredients in rat poison and is highly toxic. When you handle fluoride, like at the dentist, it has to be disposed of as toxic waste. So why is it ok to add it to our drinking water? Does it somehow not become toxic? The number one place that absorbs the most fluoride in the body is in fact the Pineal Gland. It causes it to calcify rapidly. The average persons Pineal Glad is calcified by the age 18. I’m not going to get into deep detail about this here, but it is most definitely worth researching. here is a great video i found on fluoride, definitely worth watching and you should definitely research this more!! There are no filters available that will remove fluoride from the water except for reverse osmosis. However, reverse osmosis water is not something recommended. For every 3 or 4 gallons of liquid that passes through that filter, there are about 90 gallons it wastes. Also, it completely demineralizes the liquid, and erases its intelligence and memory. Those of you who own one of these filters will testify to the fact that you do not feel very hydrated and have to eat high water fruits. This is because it does not hydrate you! When water has nothing to tell your cells, it is not able to communicate with your body that you are hydrated. Wrong. First, most of the bottled water you buy does not come from springs at all. Fiji, Poland Springs, Voss, Aqufina, and many more are actually bottling well water. Yes, Well Water. You are paying up to $3 a bottle for well water! If you are someone who is doing this please, bring me your bottles and I will refill them for you at my house for a much lower price! Many of these companies are also starting to add fluoride to their bottled water! So you are purchasing fluorinated well water that has been sitting in toxic plastic. Find a local spring! You can visit the site http://www.findaspring.com and it will list some that are in your area. This is where i collect my water from. When you are collecting water that is from the earth that is thousands of years old, its has very high intelligence and is packed with minerals! You will feel such a HUGE difference when you start drinking this water, I promise you! Your other option is to find a bottling company that uses GLASS bottles and make sure they are using actual spring water. 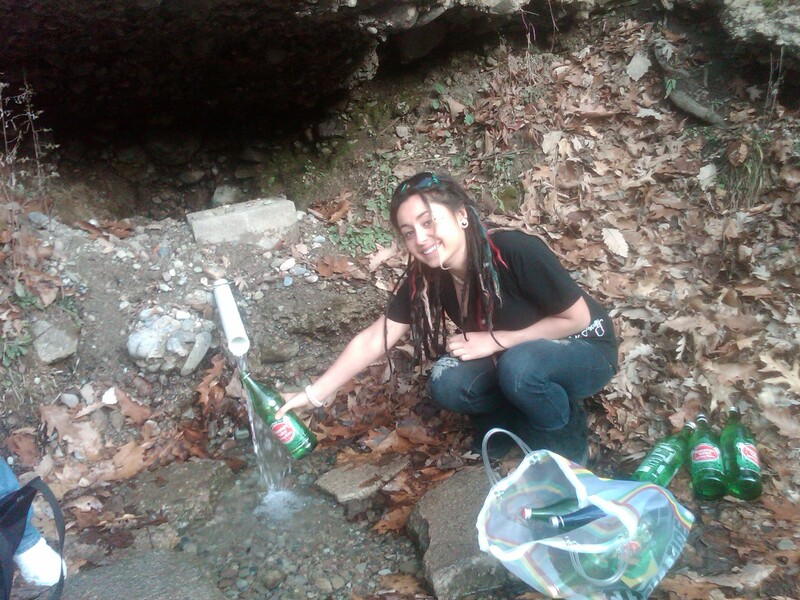 When I am in a pinch, I use Mountain Valley Spring Water, it comes in a green bottle. I have used their water for some time now and it is great. Add a pinch of Celtic sea salt or Himalayan rock salt to it and it will be re-mineralized. Add in a blade of grass or an apple peel and give it back some intelligence! I personally will add some Goji Berries, since they are the most intelligent of all fruits. Be Safe and Be Smart. Drink REAL Smart Water, not that fake stuff they sell you! For those of you that live in my area, Syracuse, NY, here were the following contaminents in our water supply. I suggest you all request a list! !